This disc was a study made after exploring sheet metal and wire. This project dealt with creating an object that intertwined the two materials together into one form. 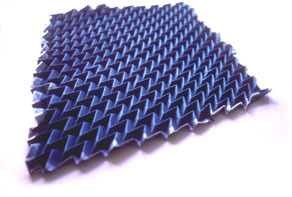 In this form the wires could not exist without the sheet metal as the sheet metal would not hold without the wires. 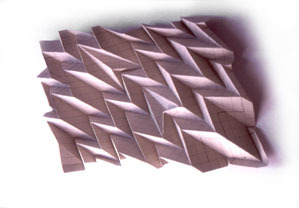 The inspiration of a static kinetic form, like the metal box, was also an influence in the final form. Four veneer strips were made from one jig. 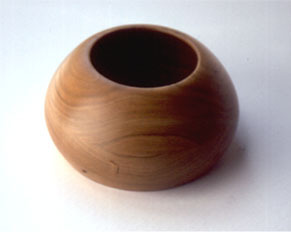 Four pieces were made and assembled to create one form. 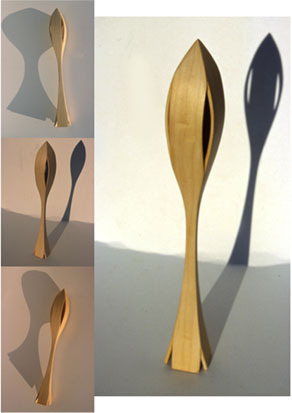 Another jig was made on the band saw to create this rocket type of figure from the original four pieces. 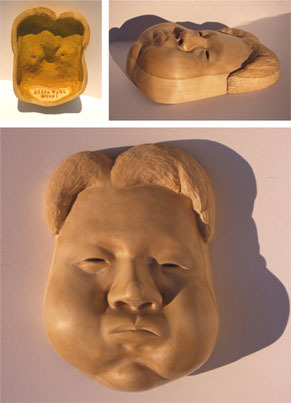 This was an exploration in using carving tools and also conservation of materials, wood. A block of wood was given to us and we were told only to carve, although the wood could be cut up and glued back together to form taller or thicker form. The form had to represent a mask in some sense. I choose a face, some say my face, in a slightly comical version because the human form is supposed to be the hardest form to recreate or sculpt. I wanted a challenge so that I could learn to carve. 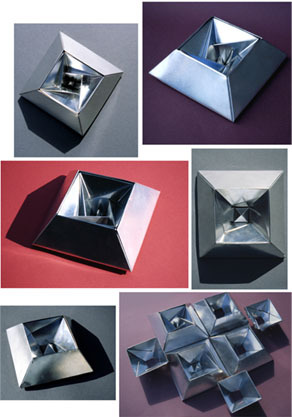 A series of studies using sheet metal. Using sheet metal I enjoyed the possibilities in creating forms that were static yet appeared kinetic in a sense. Why? Well, there has always been objects that spin, revolve, or move that seem to be interesting but once they stop they seize to not be as intriguing. So in this series I started out with a simple shape of an inverted pyramid and slowly added adjustments until I was satisfied. 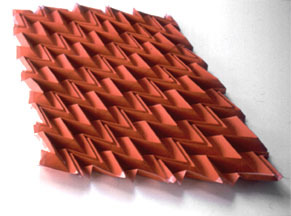 The final form creates a static form that inverts downwards an inner shape while spinning and separating then inverts upwards again to return to a normal pyramid shape for the tip. 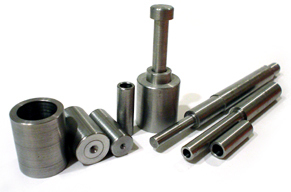 A series of air fitted steel modules exploring the kinetic movement of airflow in conjunction with weights of individual steel pieces and variations of spacing by the millionths of an inch. These lamps were created for an international lighting contest. 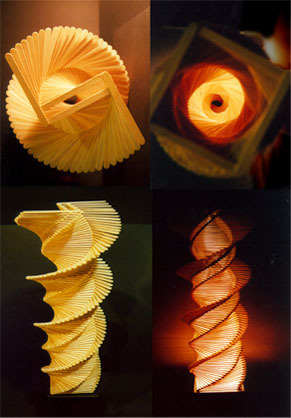 A total of three lamps were created with different forms that all carried the same meaning and definition. Explorations into materials, different lighting fixtures, forms, and meanings were made. The final set of lamps created an environment within a room that was warming and comforting. Please view the process document to further understand the design of the lamps and to see the other sets of lamps. This structure was designed around the possibilities of wood joinery, structure, and looks. 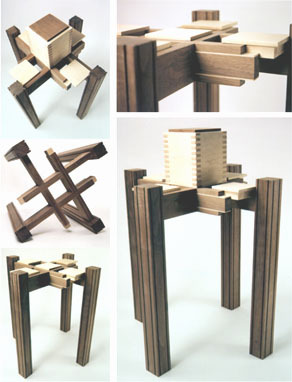 It is not meant to be a table but rather a final exploration in a structural form with wood that had a few limitations. 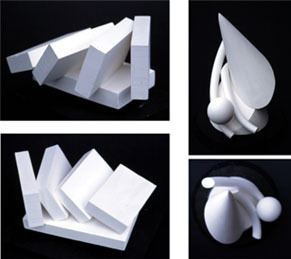 Limitation were in size, legs, joints used, horizontal and vertical elements, and materials. This structure was also somewhat made to accommodate the lamp structures. 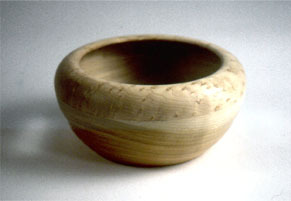 Bowls made from a lathe.